After a week of rain, the clouds are starting to clear to reveal full swimming holes and the warmth of late May. Spend time with friends this Memorial Day swimming in the quarry and enjoying a Locopop, in celebration of the start of summer and everything that servicepeople have given to this beautiful country. We will meet at the Cabe Lands parking lot off Howe St. at 1pm. 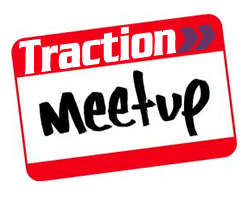 Those who wish to carpool from Traction HQ (1018 Broad St.) should be prepared to leave at 12:40 sharp. If you would like to set up a carpool from another area or need further directions, then please e-mail outdoors@getTraction.org. We will follow up the fun in the sun with a trip to the Durham Locopops on Hillsborough Rd. - The walk in is about a mile and there are no bathrooms nearby. - The parking lot is very small, so you are strongly encouraged to carpool! - The water is deep and rocky in places. DO NOT BRING: Stereos and dogs. I love ‘em, but it isn’t a good idea with leash restrictions and the presence of many others. While bathing in the beauty of the Eno River State Park, we should not forget the reason for our day off: personal sacrifice. Whether the large personal sacrifices that come with serving your country or the relatively smaller ones that come in the name of everyday community-building, it is personal sacrifice that helps to move our country forward. Between the splashes and laughs, tell a friend about a sacrifice that you plan on making this year to help a neighbor, a park, or even a whole planet. See you on Memorial Day! !